WE NEED YOUR HELP – Please send a submission to the government demanding action for clean air! Right now, Australia’s Environment Ministers are developing a National Clean Air Agreement to set the priorities for national action on pollution for the next 5 years. They have released a Discussion Paper and are asking for feedback by next Friday 17 April. The aims of the Clean Air Agreement, – ‘the sustained reduction in air pollution and exposure for all Australians, with associated health, environmental and economic benefits’ – look sound. However the agreement is too weak to make a difference and fails to give priority to pollution sources which have the biggest impact on human health in Australia. 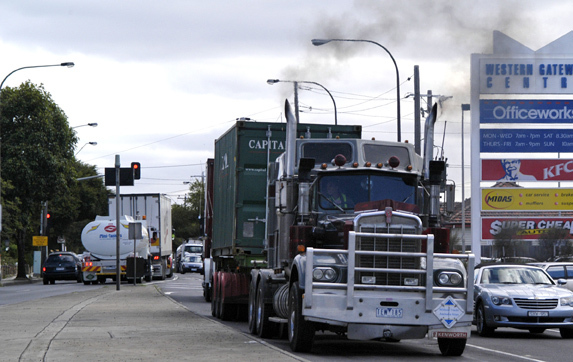 The Agreement also fails to significantly address rising levels of vehicle diesel emissions in Australia, particularly from trucks, which is a major concern in the City of Maribyrnong. This is a critical opportunity to let governments know that Australians are very concerned about air pollution, and demand that they commit to reducing the types of pollution that most affect our health and the environment. The process is a little more involved than just sending an email. You need to include the official Submission cover sheet (DOCX – 104.73 KB) or your submission won’t be counted. The Clean Air Agreement must prioritise action on the pollution sources which are the greatest contributor to pollution levels and have the biggest impact on human health in Australia. The Agreement must prioritise action on human health rather than focusing on the burden on polluters. The focus must be on the pollutants that create the greatest health impacts on Australians, and the pollution sources that put an unfair burden on local communities. The Agreement contains no new measures that will significantly reduce pollution or protect our health. ALL governments must agree to air pollution reduction measures in the Agreement that will result in significant reductions in pollution levels in Australia AND commit to implementing them. Governments should recognise that our current air pollution standards and laws are failing to protect the heath of Australians. ALL governments must instead commit to national clean air laws – a National Air Pollution Prevention Act. Communities have a right to know what toxic pollutants are being put into the air around us. The National Pollutant Inventory must be strengthened and properly resourced. ALL governments must give air pollution the priority it deserves, end ongoing delays and commit to actions that will fix the biggest sources of pollution as a priority. Diesel pollution from trucks is a significant source of pollution in Australia and must be treated as a high priority issue. Vehicle diesel exhaust is a known carcinogen. Documented medical evidence also links diesel exhaust with other serious health effects including, but not limited to, cardiovascular disease, cardiopulmonary disease, asthma, chronic obstructive pulmonary disease as well as decreased lung development and function in children. Exposure to diesel pollution is highest near ports, rail yards and along high volume truck and rail traffic zones. The proximity of the City of Maribyrnong to the Port of Melbourne means that approximately 77,000 residents are subsidising the goods movement sector with their health. Recent air quality monitoring conducted by the EPA in Francis Street, Yarraville, showed that air pollution levels are already higher than at any monitoring station in metropolitan Melbourne. Of most concern were the recorded levels of PM2.5, which exceeded the annual advisory standard. 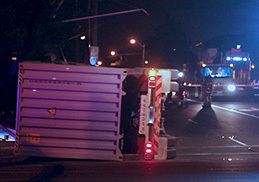 Residents of the City of Maribyrnong are already experiencing the health effects of diesel pollution. The city has Victoria’s highest hospital admissions rate for respiratory illness in children and the asthma rate is 50% higher than the rest of Victoria. The health issues we are now facing will become a crisis without intervention. Policies are urgently needed to reduce the amount of pre-1995 trucks that don’t have exhaust emission standards. Introduce 8 hr compliance standards for diesel particulate matter. Provide funding for reducing diesel emissions through the creation of an alternative fuels program. Clean up shipping emissions in Australian Ports, including banning the use of low-grade diesel. Establish metropolitan intermodal terminals and move more freight onto rail. Personal accounts can be very powerful. Feel free to add any personal experiences of your own, for example respiratory issues that go away when you leave the area, problems with children with asthma etc. THANK YOU to Environmental Justice Australia for their work and THANK YOU for taking action for clean air! After all, colleges, clean air, the cost of living, quiet neighborhoods are really substantial. But, health is more significant . There are numerous of reputable online pharmacies that will offer legitimate discounts. Let’s talk about variant medicines. Many doctors ask about propecia results. You may have heard about generic viagra 100mg online (Read more finasteride reviews). Most consumers possibly believe the forcefulness of Finasteride is well documented. What remedy does treat the medicinal status? So if you are experiencing the problems, it is essential to see a qualified pharmacist instantly for a complete medic examination. Don’t forget, the best way to avoid hokey medicines is to buy prescription medicines like Finasteride from a trustworthy online service with which you are relaxed. Don’t Hold Your Breath: Is the air you breathe killing you?